If you've ever been in a position where you want to close your MacBook but still want to listen to music on it through speakers, you need some way of forcing it to stay awake when the lid closes. 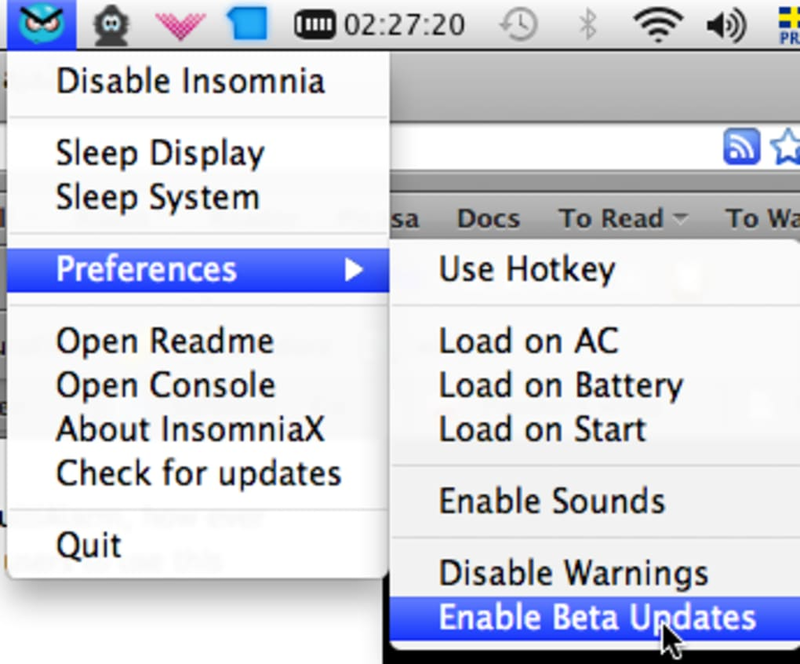 InsomniaX disables the sleep mode on MacBooks allowing you to disable the auto-sleep feature in Macs this allowing you to play music through speakers while it's closed. 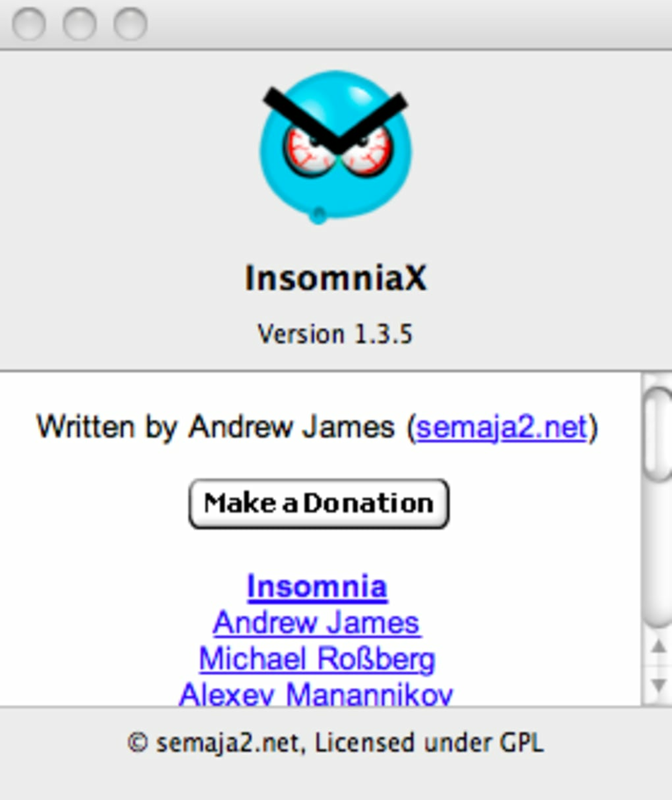 Once installed, InsomniaX sits in your Menu bar and allows you to enable or disable it by clicking on the InsomniaX icon. You need to enter your system password to enable and disable it. You can also select Sleep Display and Sleep System to manually put both your display and system to sleep at any time. 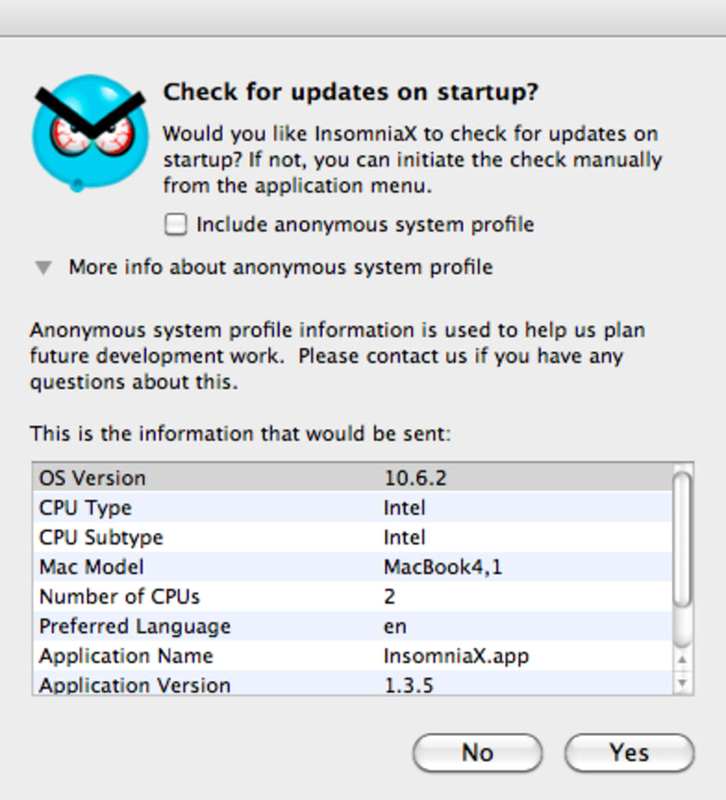 You can also open a log of InsomniaX's actions on your Mac and configure a number of preferences such as whether to start it automatically when connected to the mains or not. However, use InsomniaX with care. Using your Mac with the lid closed can lead to serious system heat problems and its not advised to do it over long periods of time. InsomniaX is perfect for those that want to listen to music with their MacBook lid closed or just want more control over Mac sleep features. 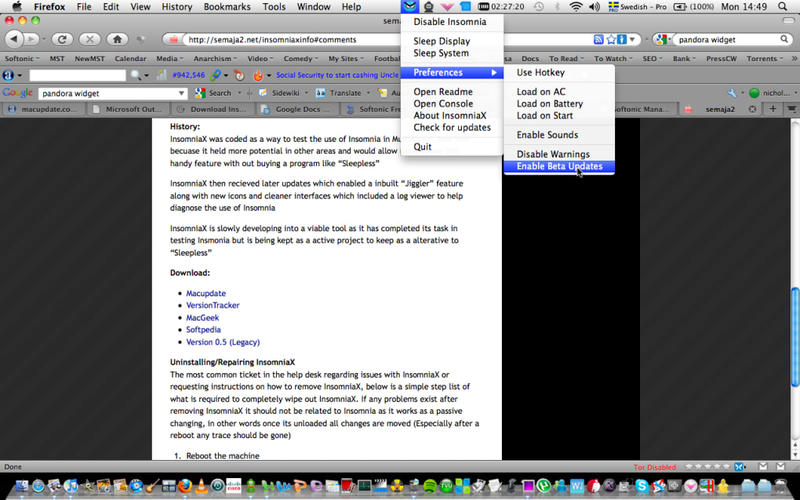 It always has been a missing feature: disabling the sleep mode on a Apple Laptop. Who does not want to use it as a big juke-box or go warwalking. The best looking server ever, especially at about one inch height. This small utility is what you will want, this small utility acts as a wrapper to the Insomnia kernel extension. Where is the insomniaX icon?. I don't see any menu bar on my the computer. where is the insomniaX icon? i have installed it but how do i use it? is it this software that is frustrating or is apple just generally annoying. my system still sleep when i close the lid.